Learning management systems (LMS) have been adopted by the majority of higher education institutions and research that explores the factors that influence the success of LMS is needed. 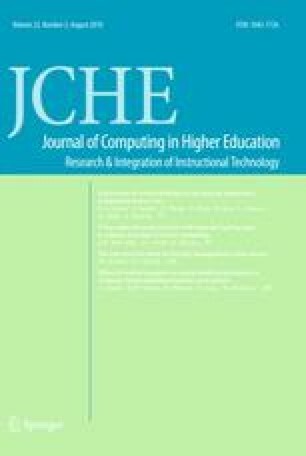 This paper investigates the roles of student and instructor involvement in LMS success, using the DeLone and McLean (2003) model of information systems success as a framework. Data were gathered by online questionnaire from students enrolled in an Australian university. Involvement was found to be important to LMS success. Student involvement was shown to have a significant effect on the benefits to students of LMS use. The more involved a student is with the LMS site for a course offering, the stronger the benefits they report obtaining from use. On the other hand, student involvement did not have an effect on LMS use. Instructor involvement was found to guide appropriate use, both in terms of the nature of use and the extent of use. Furthermore, instructor involvement was shown to contribute to student benefits by affecting information quality which affects the benefits students receive from use. The online version of this article (doi: 10.1007/s12528-010-9032-5) contains supplementary material, which is available to authorized users. Becker, R., & Jokivirta, L. (2007). Online learning in universities: Selected data from the 2006 Observatory survey—November 2007. The Observatory on Borderless Higher Education (OBHE) [Electronic Version]. Retrieved 9 January 2010 from http://www.obhe.ac.uk.